Learn and play golf in a fun and friendly way that rocks! In 2018, we involved 21 counties and over 1600 girls enjoyed a taste of golf, with many going on to coaching sessions. They join Berkshire, Bedfordshire, Buckinghamshire, Cheshire, Cumbria, Dorset, Durham, Essex, Gloucestershire, Kent, Leicestershire, Norfolk, Northumberland, Nottinghamshire, Oxfordshire, Staffordshire, Surrey, Sussex, Warwickshire, Wiltshire and Yorkshire. You can now view 2019 dates and book your place! You’ll join a group of other girls and learn the basics during six weekly, one-hour sessions. You’ll also have the chance to get out on the golf course on the sixth week and play in a team alongside the Girls Golf Rocks ambassadors. You will also receive a US Kids iron and goodie pack to help you continue to play golf. 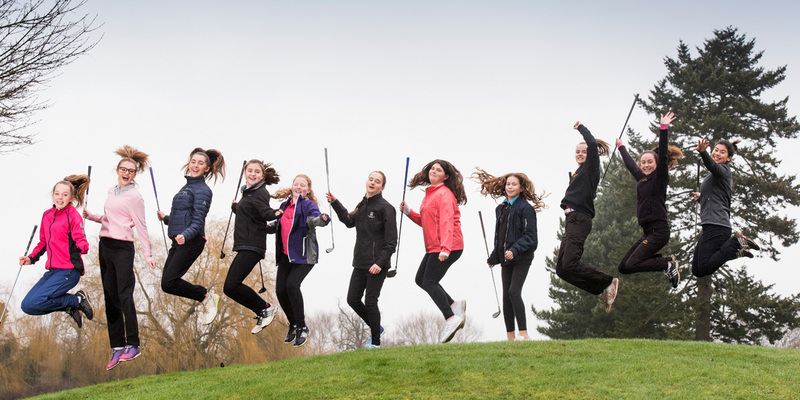 Girls Golf Rocks is a joint programme run by England Golf and the Golf Foundation with the support of county associations.